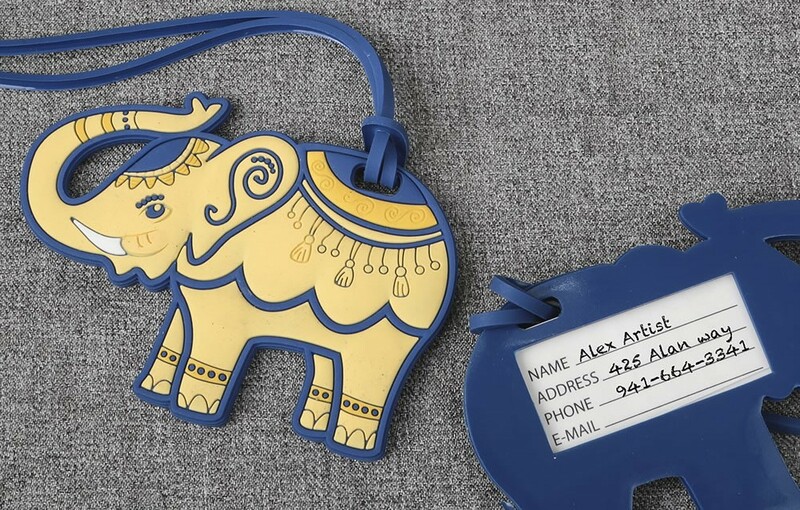 These adorable rubber elephant tags are blue and cream. They have white tusks and raised details giving a 3D effect. Let your friends travel in style with these fun elephant themed tags. They also make great destination event favors.